Winter is on its way, and just the thought is enough to send shudders down the backs of many of those who work in the NHS. 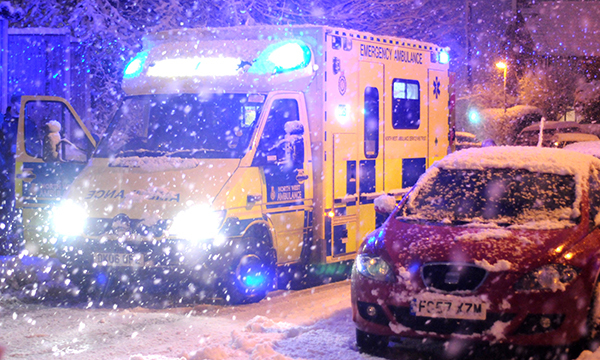 The past two winters were the worst in a generation, with emergency department (ED) performance in England sinking to its lowest level since the operational standard was introduced in 2004. So how well prepared is the health service this time round? The government has already announced £145 million of funding for NHS trusts to spend on upgrading wards and redeveloping EDs at more than 80 sites. The measures include everything from buying in mobile X-ray facilities to setting up rapid assessment areas for ambulances to allow crews to get back on the road quickly. The government says the funding should also pay for an extra 900 beds in trusts across England. It comes on top of the £36 million provided to ambulance trusts earlier this year to pay for 256 new vehicles, while NHS trusts have been working since early summer on plans to reduce the number of patients staying in hospital for more than three weeks. Health and social care secretary Matt Hancock says the government is providing the correct resources so ‘people can receive the care they deserve’ this winter. But will it be enough? Last winter there were times when more than 4,000 extra beds were opened up as hospital staff did all they could to keep patients moving through the system. 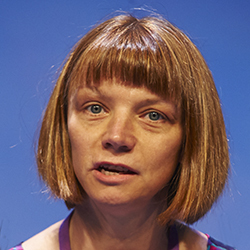 RCN Emergency Care Association chair Janet Youd has her doubts. She says the 900 beds will not suffice and any attempts to open significantly more will be undermined by lack of staff. She says nurse leaders need to do their best to keep staff morale high. To be fair to the new health and social care secretary, who took up the job only in the summer, he has already recognised there is an issue with morale. In early September, Mr Hancock launched a mass engagement exercise, said to be the largest in the history of the NHS, and has invited health and social care staff, totalling 3.1 million in England, to take part. An online portal has been created, and Mr Hancock is urging staff to feedback on everything from shift patterns and 'work-life balance' to training, development and the risk of bullying and harassment. 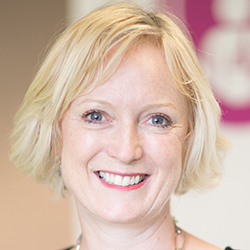 NHS Improvement executive director of nursing Ruth May says the NHS is determined to create a ‘positive and supportive working environment’. The problem is that this process will take time and, with every passing month, the situation appears to be worsening. NHS Improvement’s recent figures on vacancy rates show that approximately 42,000 nursing posts, 11.8% of the total, were unfilled at the end of June, a rise of 17% from the end of March. This has resulted in higher spending on bank and agency staff than expected. The figures show that NHS trusts spent £805 million on bank staff and £599 million on agency staff that quarter, which equates to £102 million and £32 million more than the respective allocated budgets. There are several different steps that need to be taken when running a flu vaccination campaign, according to NHS Employers. The organisation, along with Public Health England, runs the Flu Fighter programme and provides good practice advice and help with social media to encourage uptake. King’s Fund chief analyst Siva Anandaciva has declared that the shortages risk becoming a ‘national emergency’. Meanwhile, pressures across the whole system, not just in emergency care, continue to grow. Latest statistics from NHS England show the waiting list for routine operations has risen to 4.1 million, the highest for more than a decade, while the proportion of urgent GP referrals for cancer treatment meeting the 62-day target, at 78.2%, has sunk to its lowest figure since records began in 2009. 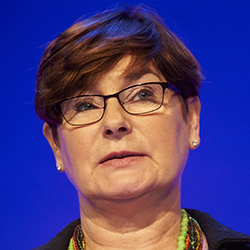 RCN nurses in management and leadership forum chair Sally Bassett says that, given the pressures, it is clear there is a limit to what nurse leaders can do operationally. But she says there are still plenty of areas where nurse leaders can have an impact. Ms Bassett agrees that showing kindness and managing working patterns as much as possible is important, but says other steps can also be taken. But Ms Bassett warns that the challenges could be further complicated by the hard-line approach being taken by NHS England and NHS Improvement on ensuring staff receive flu vaccination. Last winter only 69% of front-line healthcare workers had the flu jab. This year the two bodies have urged managers to quiz staff on whether they have been vaccinated to help push the rate up to 100%. Yeovil Hospital, Somerset, opened a dedicated ambulatory emergency care unit two years ago in its emergency department (ED). It gives people with ongoing medical needs the care they require without having to wait in the ED or be admitted to hospital. People with certain conditions, such as pneumonia, chest pain and pulmonary embolism, are now safely managed being as outpatients. In the first six months, for every five patients seen, three admissions were prevented. In Sheffield, South Yorkshire, district nurses and primary care and voluntary sector staff are working with hospitals to provide a virtual ward service in people’s homes. Everyone registered with the service has their risk of hospital admission rated and regular reviews of their situation take place, just as they would be on a ward. As well as receiving daily support, patients are also taught how to self-care. In the London borough of Sutton, the NHS and care sectors work together to support care homes. GPs are employed to carry out regular check-ups, while district nurses train care home staff on everything from dementia to falls prevention. When a resident does need to go to hospital, they are sent with a red bag containing information about their health conditions, supplies of medicine and a change of clothes. Care home staff visit the hospital soon after admission to start planning discharge. Average length of stay has been reduced by one third. Frimley Park Hospital, Surrey, has an integrated frailty liaison team, comprising a consultant nurse, specialist frailty nurse, occupational therapist, junior doctor, GPs and a consultant geriatrician. The team provides support to the ED and to the inpatient wards not staffed by a geriatrician. Admission to hospital is prevented in about two thirds of cases that are assessed.